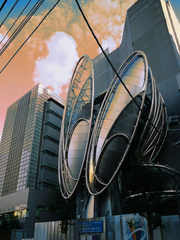 We only have one month left for the postponed ALGODE 2011 symposium, which will be held on November 13-14 at the original conference venue in Tokyo with warm support from around the world and with improved modifications to the program. The new program has been released and is available from our website (it is still tentative). Although two invited speakers will be presenting via video, all speakers will present in addition to more invited speaker. All sessions will also take place with several online presenters. Until today we have received plenty of encouraging massages and queries for supportive attendance to ALGODE 2011 Tokyo. To respond to these interests and expectations, the organizing committee of ALGODE 2011 Symposium would like to call for new participants in special registration category Support Observer. We believe it is now more significant to gather more participants at this event. Student Observers are also welcome. We will provide lunch for all registration categories, including Student Observer. On Nov 15th, a casual presentation and discussion event called "RGSS" will be held as an official after party for ALGODE. Drinks and finger foods will be served in a nice environment to mingle and view great presentations. 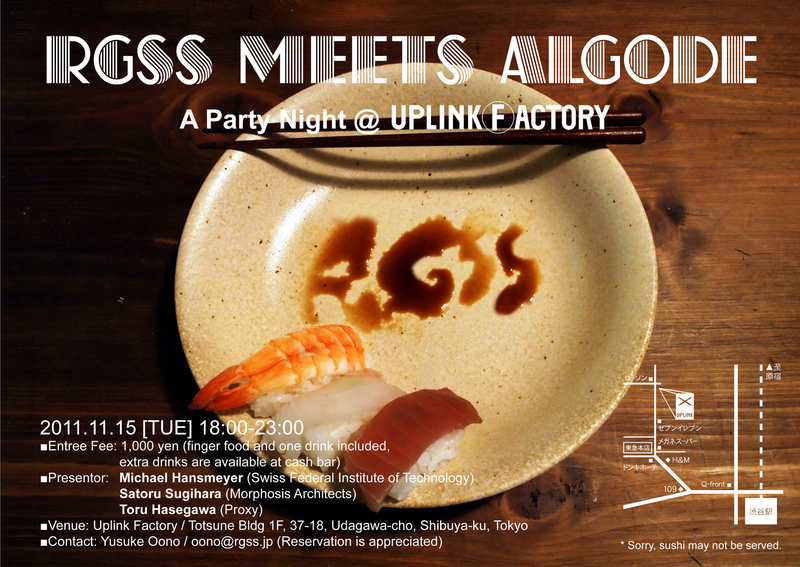 Please feel free to join us and enjoy a night in Shibuya as an end to the ALGODE symposium. After Nov.4 we will close the application period for refunds caused by the postponement of the symposium after the disaster. After that date registration fees will not be refunded. Information on the related event RGSS is added. 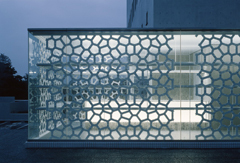 Information on the related event DESIGN FESTIVAL 2011 is added. If you need any help, you can visit the symposium venue, AIJ Hall near Mita Station. We will be there on Monday and Tuesday to assist you if necessary. We have been getting many reports and inquiries about the earthquake and travel information in and out of Japan. ALGODE Organizing committee has been monitoring the situation carefully and has now decided to postpone ALGODE 2011. Therefore, we deeply regret to inform you that the symposium on the14th, Monday and the 15th, Tuesday is cancelled. We hope for those already arrived in Japan to attend the symposium are safe and well. We will inform you our new plans as the situation improves. Excursion program on March 16 has been announced. Online registration closed on March 1, 2011. Online registration will end on February 28, 2011.
invited speakers has been confirmed! The final due date is 24th Jan. This is the final call. We are very proud to inform you that we are supported by many sponsors listed bellow. Updated VENUE for addtional information of hotels near the site. The information of our joint event, AAST International work shop on algorithmic design have released. Registration for the symposium has started. Please don't forget to register before attending. Started accepting full paper / project description. Please refer the submission page. Abstract submission period was closed on 20 October. 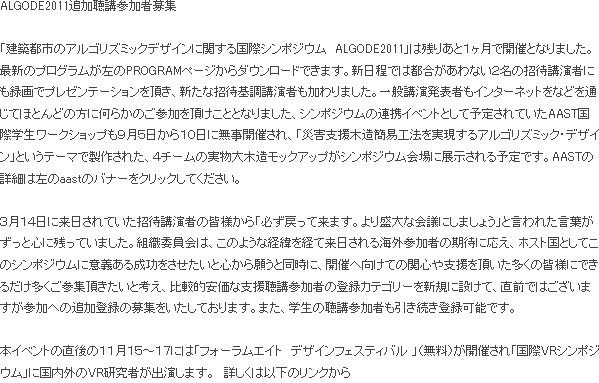 If you have any inquiry, please send email to algode@aij.or.jp. Submission extended. Please see the Important Dates page. Project display is also encouraged. Comment on presentation style added to Call for Participation page. ALGODE Webpage is now open! Beyond the use of computers as a mere drawing tool, innovations in computational design processes are emerging worldwide. The paradigm of architecture and urban design has shifted from designing imagined ideal forms to generating intelligent formations. One of the main reasons for this new approach towards architectural design processes is due to the progress in mathematical programming developed in computer science and information technologies. The computational practice in science not only advanced the information based research - particularly in the field of digital simulation techniques used to analyze dynamic behaviors such as structural performances and traffic controlling systems - but also influenced the way in which spaces and forms are theorized, conceptualized and generated in architecture. The very foundation of those design projects is archived through the implementation of algorithms in the design processes. The definition of algorithm is a procedure of calculations through the process of iterations, allowing a large number of elements to be integrated into a coherent whole through a series of local interactions. Similar to the logic found in biological organisms, the principle of self-organizing systems is generated by simple recursive calculations. Due to the advancement in computer technology, where a vast number of calculations are achieved in no time, it now became possible to solve highly complex problems and use those computational processes for practical applications. The development of computations not only helped scientists to understand the generative logic found in nature, such as growth patterns of plants and the crowd behavior observed in animals, but also offered ways to analyze humans?Esocial behaviors and urban structures. This is the reason why it has been a massive paradigm shift in architecture where the 20th century's modern rationality is now being replaced by new ordering principle. Computational generative systems as design tools for architecture, the algorithmic design could help architects to setup a design process to achieve forms and spaces which are more sustainable and adaptive to the ever-changing environment. 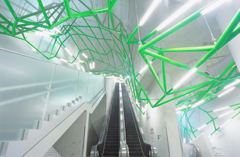 Algorithmic design now gains interests among architects around the world for its capacity to generate rule-based and developable geometries which can be linked directly to a digital fabrication process, seamlessly connecting digital models to construction processes using Building Information Modeling software. With those background information on where we stand in an intersection between the practice of architecture and the discourse of computation, our ambition to hold an international symposium and a workshop for students in Tokyo is to create an opportunity for those who have been working, researching and developing on the concept of algorithmic design. Through discussions and sharing knowledge, this event aims to further advance theoretical research as well as potential practical applications of algorithmic design in architecture. * Concepts and potentials of algorithmic design procedures were recently documented in the publication titled, Algorithmic design - The new design methods in architecture and urban planning, edited and published, written in Japanese, by AIJ (Architectural Institute of Japan). Copyright c 2011 ALGODE. All rights reserved.